The overuse of plastic bags in Hong Kong has become a serious problem. Approximately evaluated, each consume an average of 1,700 plastic bags per year, while about a thousand tonnes of plastic waste are sent to the landfill. The effects on the environment are simply unsustainable. We acknowledge that manufacturers of shopping bags are part of the problem. That’s why we are working hard to become a leading contributor to the solution.At “FMC Manufacturing Co Ltd”, we have continually strived to explore new innovations and our efforts have finally resulted in a substantial breakthrough in environmental protection. 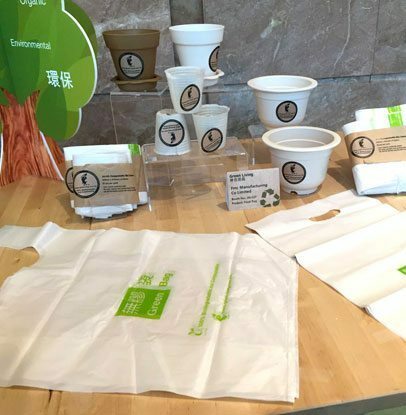 In co-operation with “Dynasty Vitality Ltd”, we are proud to introduce a new Green Bag material that can effectively replace plastic. 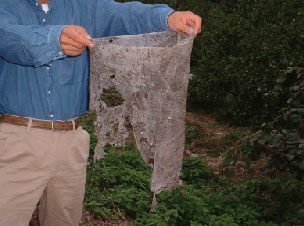 Made primarily from a naturally occurring starch found in plants, this groundbreaking material is not only totally petroleum-free, but also compostable and biodegradable without releasing any toxic chemicals. Hong Kong daily discards as much as 640 metric tons of shopping bags ranking it as one of the most wasteful plastic bags per capita in the world. 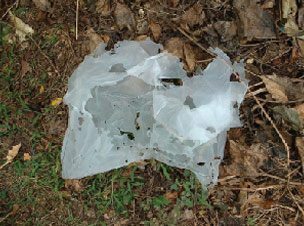 Plastic bags are petroleum by-products, difficult to break down naturally. Therefore, dealing with garbage bags not only require a considerable amount of public fund but also put heavy pressure on landfills. Daily discarded plastic shopping bags as much as 640 metric tons, is believed to have become one of the most wasteful plastic bags per capita city in the world! 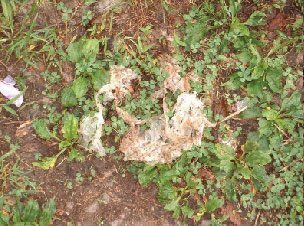 Plastic bags are petroleum by-products, difficult to break down naturally. 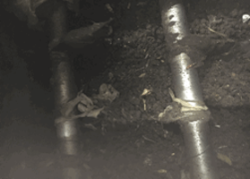 Therefore, dealing with garbage bags not only require a considerable among of public fund but also put heavy pressure on landfills. 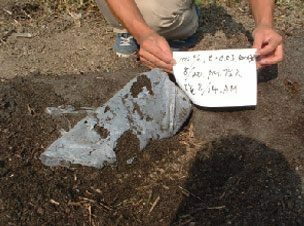 Many foreign environmental organizations advocate reducing the use plastic products to reduce the burden on the heap of the field area, and reduce soil and water pollution, ecological impacts. 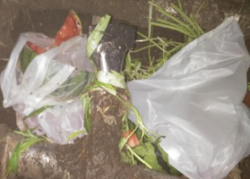 For all the solid waste made in HK, one-third of which is food waste, Therefore, finding a way to reducing the food waste can help a lot to cut down the disposable waste. 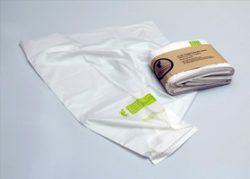 We can use the 100% biodegradable and compostable trash liner to pack food waste. 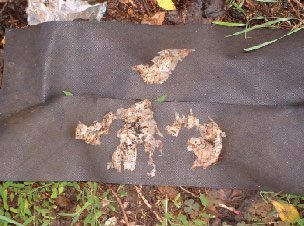 Through biological anaerobic or aerobic treatment, the biodegradable and compostable liner can be completely absorbed into organism, which does not destroy the biodegradable process and people are no need to pick out the trash bin liners. It saves a lot of hassle and cost of handling. 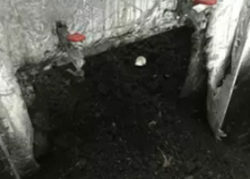 And the remains of the decomposition of the food waste will turn into compost so that we can use it to nurture the soil. 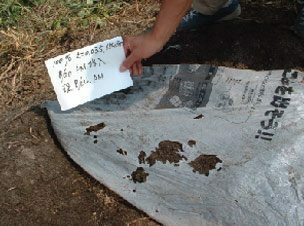 Furthermore processing it with the valued added application, it can become the biodegradable raw materials and get more benefit from the investment. All the kitchen waste will finishes a healthy ecological cycle. 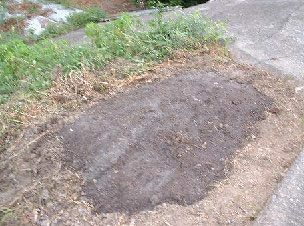 Day 14-The trash bin liner almost completely turned into compost.